As someone who could easily be described as “artsy” or “crafty,” I’ve spent countless hours creating things. While many of those things were – and still are – created for my own enjoyment or to gift to family and friends, I do offer some of them for sale now and then. This article hit home. 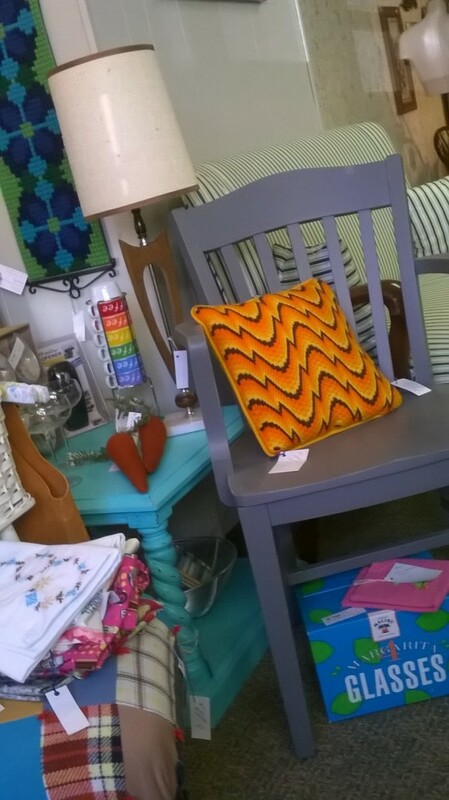 For anyone who may not know, I am a vendor at a home decor shop in a nearby small town. I LOVE the creative outlet it offers me as an interior designer. I love to create new things from old things, to make old things beautiful again, and to create new things for others to enjoy. It can be difficult, however, to price those items to sell in the shop. I have spent two years trying to perfect my pricing, and I fear I’m no closer to doing so than I was two years ago! If I figure out the time I spent on each project, the price seems too high. But, if I forgo any “paycheck” for my time, and simply price an item based on material costs, it seems I’m shortchanging myself. For someone who does not make things, it can be appalling to see what prices are placed on handmade items. Check out Etsy to see what I mean…while some items are very inexpensive, others are clearly considered “high end” and the prices reflect that. Who do they think they are, you may think, charging $1,500 for a quilt or $700 for a side table? After all, I can get a quilt or table at Target for $50, right? I found this article so enlightening. While its focus is on handmade quilts, the principles could apply to anything handmade. When we buy something handmade, we are getting a piece of the creator’s vision – a piece of their soul. It’s not just about material prices or time spent on the project. It’s also about trying to put a value on something you will not find anywhere else – something completely unique. How do you price that?